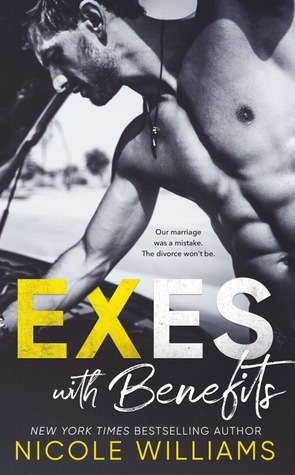 Exes with Benefits is what happens when a wife hits her limit and a husband finally changes. This is a second chance romance done a little differently it’s more than just love, loss and heartache! Maggie has been gone for 5 years, totally oblivious to what her husband has been up to. When Maggie is forced to return home for her grandmother’s funeral she’d in for a bit of a shock. You see the wild broken boy she left behind is no longer there. In his place is the man that Maggie always believed he could be. Now the question is will Maggie realize this before it’s too late? "We were a couple of kids playing house. We should have known better than to think we could make a marriage work at eighteen." "I wasn't playing anything." His eyes flickered to mine, fire burning in them. "You and me, that was the most real thing I'd ever known. I wasn't playing." Maggie and Canaan have a love like no other; best friends turned high school sweethearts followed up by a wedding. Their only problem is this all happened before it should have. They were children who thought they could conquer it all. My fingers notched through his. "I fell for the right guy, at the wrong time."